All the way from the distant land of Wisconsin is our new Shop Technician, Drew Christensen. He's been a mold maker, fab tech, model maker, and everything in between. You can find Drew kayaking, fishing, or camping when he's not doing side woodworking projects. His ideal job would be what he's doing now, working with his hands. We're happy to have Drew join the team. Max Poroj, a specialist in CNC programming, machining, and manual programming, is our new Mill & Machining Operator. When he's not taking wrestling with his 5 kids, he loves to go camping with them to enjoy the outdoors. He's a big fan of dark science fiction, 3D modeling, and listening to audio books and podcasts in his free time. Welcome to RapidMade, Max! 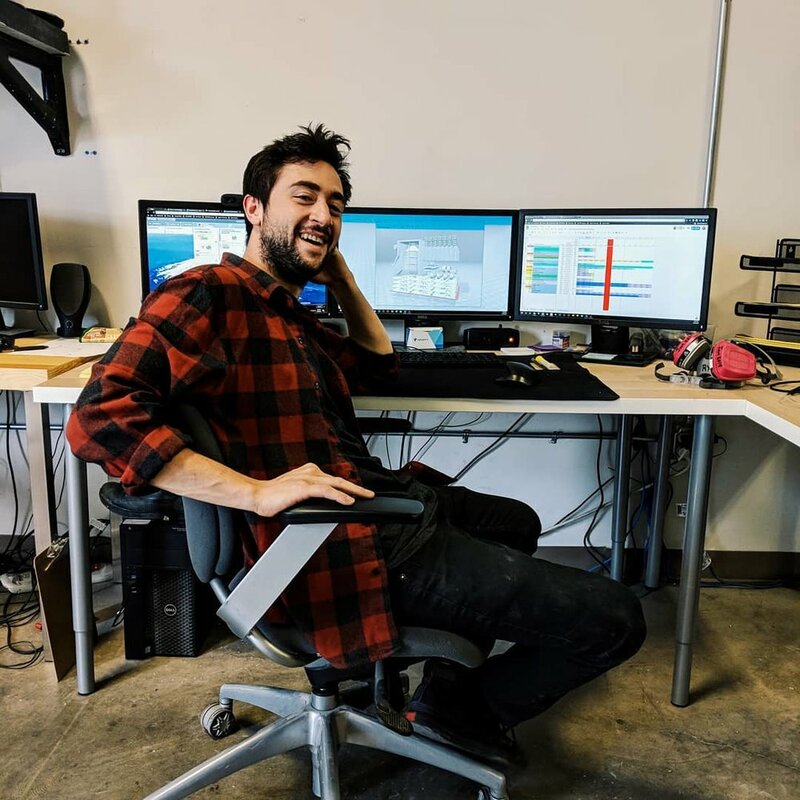 Our newest 3D Print Tech, Cameron York, is an Oregon-native packaging manager and 3D modeler. He spends his off hours playing Frisbee golf, camping, and skateboarding. His dream job would be to own a 3D modeling studio. We're excited to see what you can create, Cameron! 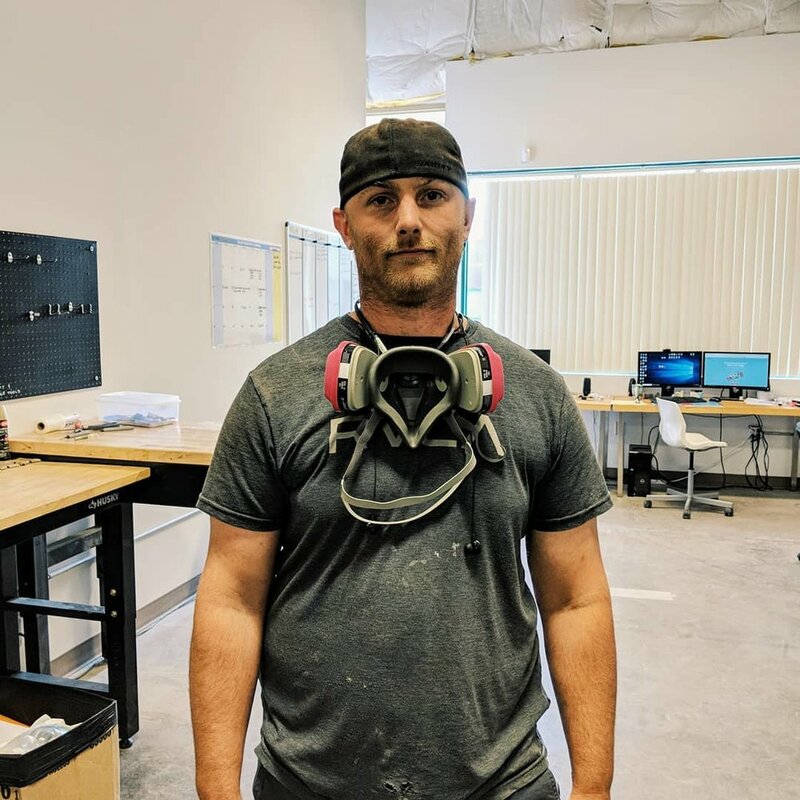 Ryan was recently promoted to the position of Shop Supervisor. He grew up cage-free, Oregon-raised in Eugene and is an Industrial Designer. When he's not running the shop, he's creating, modeling, and designing; he craves adventures. You can find Ryan biking, swimming, hiking, and "camping, baby". Ryan hopes some day to be a serial entrepreneur. Congratulions, Ryan! The Trident wasn’t designed on a computer. It was hand sculpted as a flowing, organic shape that works harmoniously with the anatomy and movement of the dog. Technology has its place, of course. Original forms are scanned, transformed into CAD models, and given physical form using HP Multi-jet Fusion 3D printing — ideal for small batch production where high precision and maximum durability are desired. Every holiday season, purchasing agents and design engineers everywhere feel pressure to complete capital projects before they can celebrate the New Year. Who wants to forfeit hard-earned budget allocations because time constraints prevent delivery before the 2018 count down? Make your holidays happy instead. Friday is RapidMade's Moving Day! The truck is reserved; the boxes are being packed, and we are counting down the hours - not days - until our move this Friday. Just a reminder to customers with pending quotes, orders and deliveries, we will be working through Thursday (tomorrow) and packing tomorrow night for Friday's move. If necessary, we will continue to run rush orders at our old location to ensure delivery dates are met. Otherwise, we plan to move and install all equipment this weekend with a rolling start up on Monday. 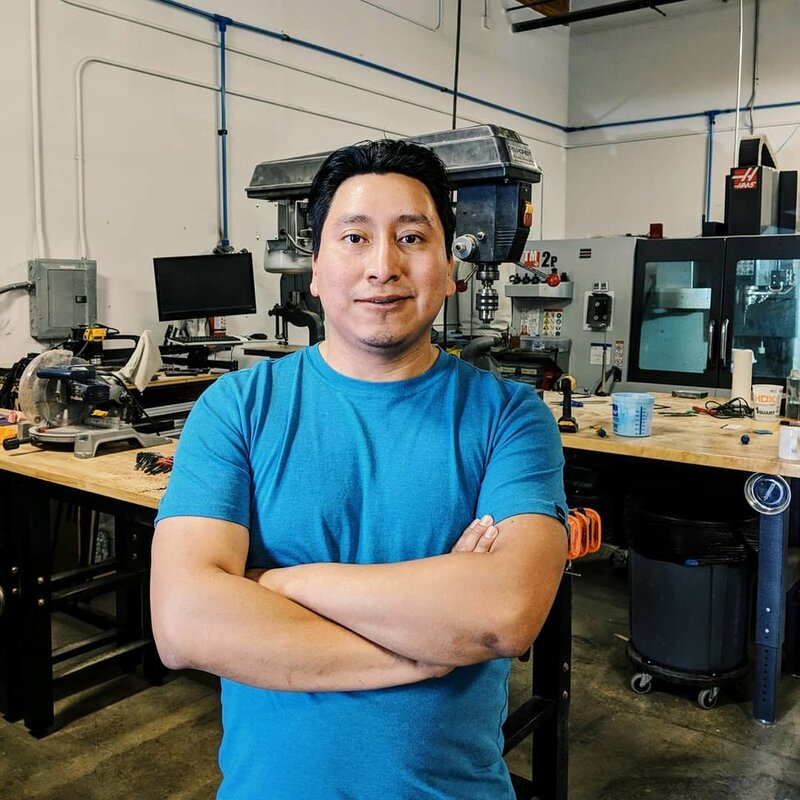 If you have a concern about a specific 3D printing or engineering and design job, please don't hesitate to call our office - or better yet, email us, and we will respond - assuming we are not driving a large truck on I5 South. Thermoforming is a fast, cost-effective manufacturing technology that allows customers to prototype and manufacture production parts. RapidMade's ability to design and 3D print tooling in house reduces lead times and unit costs. Watching the thermoformer in action is an added perk. See for yourselves. Ask us how thermoforming can transform your packaging, storage, retail display, automotive, aerospace, medical device and signage needs. To create or improve products, engineers rely on a number of proven approaches which include CAD Work, 3D Design, Industrial Design, Technical Analysis, Reverse Engineering, and Technical Documentation. Learn more about how RapidMade can help.